One of the most rewarding parts of my life is hearing the stories of God’s unexplainable work in the lives of women! At conferences, retreats, Bible study, and my own kitchen table, I’ve been privileged to hear amazing stories of how our great God is at work in His daughters’ lives! Sometimes it can’t be face to face though, but Facebook has provided us an amazing gift: becoming aware of other women and the stories God is writing in them every day! We need to share our individual story. I want to share YOUR story. Women of God need not feel alone or insignificant – God is doing great things and your story proves it. This is your invitation to say, “Yes, I want to share my story,” and then see how God uses it. When you’re ready, I would ask that you give me permission to partner with you in sharing your story online- and you can do that using the form on this page. If you have any questions about sharing images or videos here, please look at our frequently asked questions below. Will you use what I share? It’s exciting to hear the stories of God’s work and even in the midst of excitement, I cannot guarantee to use every submission. I do not have specific criteria for content that will be used, other than it specifically connects to the idea of sharing individual stories of God’s unexplainable work in your life. When will you use what I share? At the right time 🙂. Part of the fun is not knowing what God has done until I hear from you! While there will be many accounts of His work that we will never know this side of heaven (and perhaps we may never know) I do know that He will inspire stories to be shared here that He has a plan to use to impact others whom you or I may never personally meet. My team currently works very hard to share the most relevant message, and we will continue to share the most timely stories as we sense the Lord’s prompting. I found a video on YouTube (or another site) that I’d like to share. Is that okay? If the resource links directly to your story – for instance you were watching a video and God spoke through it and that was a moment of significance in your life – then yes, please feel free. I don’t have a photo or a video. Can I still share? Yes, I want to hear from you. The form allows for up to 500 characters of text. As long as you can fit it within the allotted space, please share! Go ahead and upload a favorite picture you have of yourself. We can use that in connection with your story 🙂. What if what I want to share is longer than 500 characters? If you have something that you’d like to share which is longer than 500 characters, I invite you to mail it to my P.O. Box in Arizona. You can find our address here. Will you let me know when you’ve shared my submission? My team and I do not have any current plans to individually contact anyone ahead of time – however, I invite you to follow my page on Facebook or sign up for my newsletter. You will definitely see it, if and when your story is shared there! Why do I have to agree to allow you to use my submission as well as my name? As we celebrate these stories, we want to connect them to the names- to emphasize these are real stories, from real women about the work of our unexplainable God!. In order to make sure that I don’t accidentally publish something that was meant to be kept private, we must officially ask for permission in order to protect you as well as the ministry from miscommunication. If your story is something better kept private, I would invite you to share it with me by mailing it to my P.O. Box in Arizona.  Complete the form below to receive to begin receiving Erica's email newsletter. In the meantime, be sure to like Erica's Facebook page below.